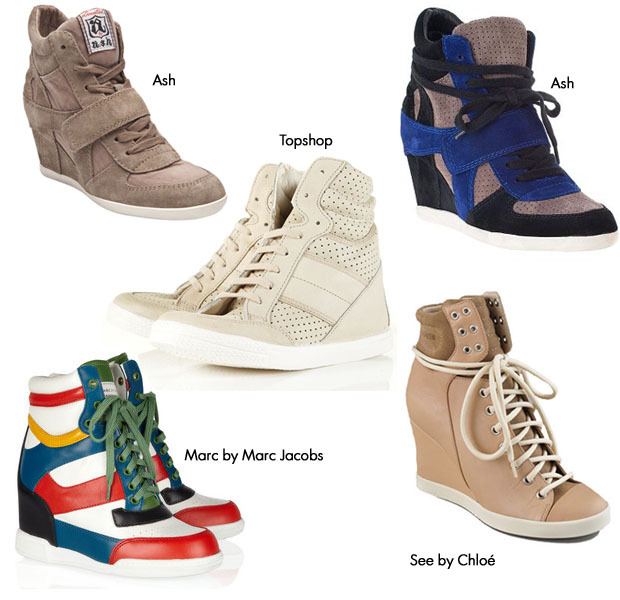 I forget which store I was in when I first spotted them, but from day one I’ve always thought wedge sneakers were some of the ugliest, nonsensical shoes created. If a woman wants to rock wedges, rock them. If she wants to rock sneakers, rock them. But combining the two? Come on now…what sense does that make? …until I saw this photo of Eddie Murphy’s daughter! I am now a believer. I promptly purchased my first pair within 24-hours. Where are the ones you decided to get from?? I ❤ them!